There are many cars synonymous with a particular color. Astons as far I m concerned should only be finished in British Racing Green, and if you drive a hopped up Subaru that isn't blue with gold wheels, you should've bought an Evo. 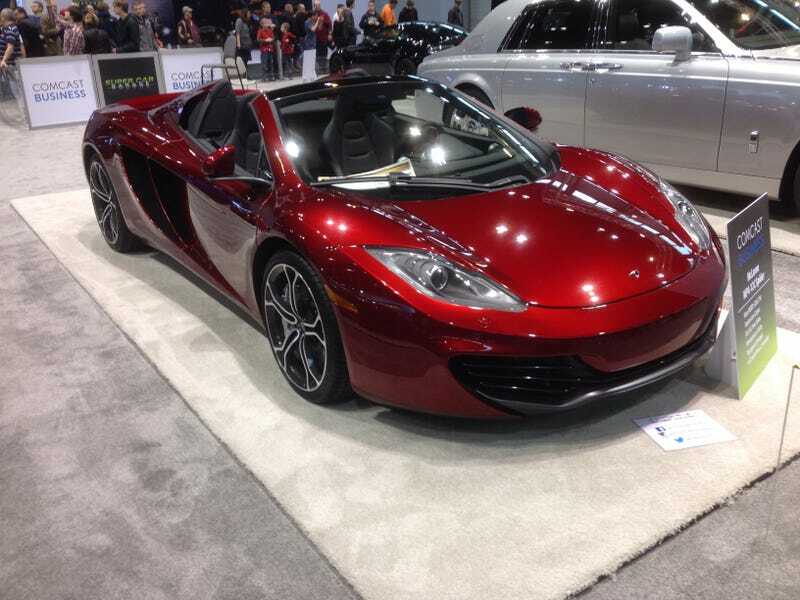 It's been a few days since I visited the Chicago Auto Show, and I still cannot believe how perfect the red was on this McLaren 12C. There was also a Saleen Mustang with a similar deep red that was stunning. Pictures cannot do this color justice. What is the best color/car combo you can think of and what color do you think could look good on the biggest variety of cars? Let me know in the comments!